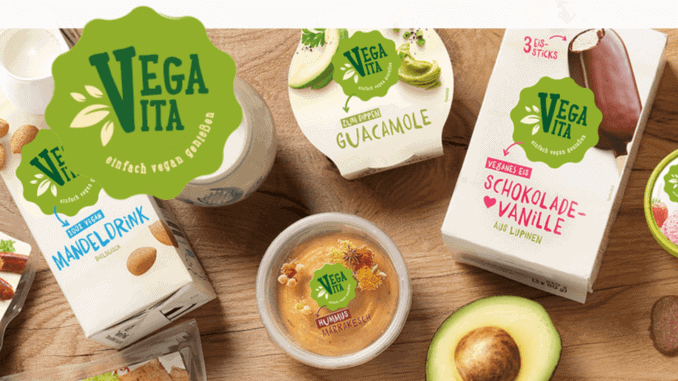 REWE International AG’s vegan own brand “Vegavita” has operated in Austria since 2002. And its range of purely plant-based products – which are already available in various Austrian supermarkets – continues to grow. Since the brand’s relaunch in 2015, its vegan range has almost tripled. As a result, the brand is now offering around 90 different products; these are constantly being supplemented by further alternatives, says Paul Pöttschacher, press spokesman for REWE International AG. The vegan REWE brand products are currently available in Austria from Billa, Merkur, Bipa, Adeg and Sutterlütty. All products are labelled with the so-called V-label, which is the vegan society’s seal of quality, and thus guarantees to customers that they are purely plant-based. Wherever possible, REWE also tries to produce its products organically and locally in Austria. In this way, the company reinforces the topic of regionalism and favours local producers. For example, Vegavita Tofu is made from Austrian soy – cultivated in Burgenland. The selection ranges from hummus and tofu to spreads. Convenience products, frozen goods, ice cream, fruit gums, rice and almond drinks are also on offer. This year, new products such as hummus avocado spread and smoothie ice cream on a stick – consisting of apple, sour cherry, raspberry, blueberry and açai – are also included in the range. More information about Vegavita can be found here.